We would like to share our knowledge with you! 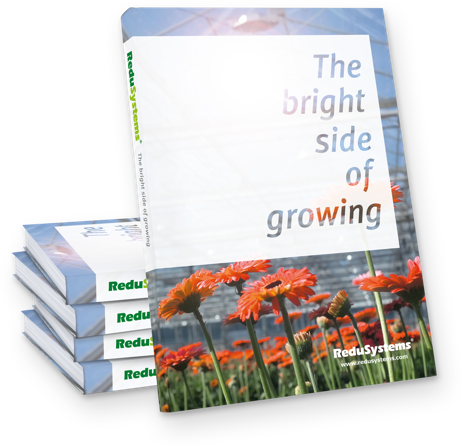 ReduSystems is a group of removable coatings that gives the grower more control over their greenhouse climate. ReduSystems coatings are easy to apply, highly wear-resistant and can be removed at any time. No matter where in the world a crop is grown, ReduSystems offers crop specific value with proven products and specialized solutions. What do you grow? In which crop do you specialise? I have read and agree to the privacy notice below and agree to receive information about Mardenkro products and knowledge. We’d like to keep in touch with you about our products and knowledge. By submitting this form you will be subscribed to our newsletter. You can always unsubscribe. The information you provide us will be benificial to our understanding of the global horticulture market to better support our customers and distributors. This information will never be given or sold to third parties.